Since D. W Griffith’s studies and the advent of the Hollywoodian rules and narrative – strongly appearing in The Birth of a Nation – the average viewer got used to the false illusion that classic cinema provides. After that, multiple cinematographic styles moved away from such basic principles. he opposite is also true: masterpieces that deconstruct the sense of what is real in the narrative and subvert classic cinema norms, drive the viewer to a state of paying poor – or almost none – attention to the cinematographic vehicle. Retrieving from the state of attention necessary to follow the movie string of thinking, the viewer gets bored with his passive condition of spectator, tending to focus their attention in something else. 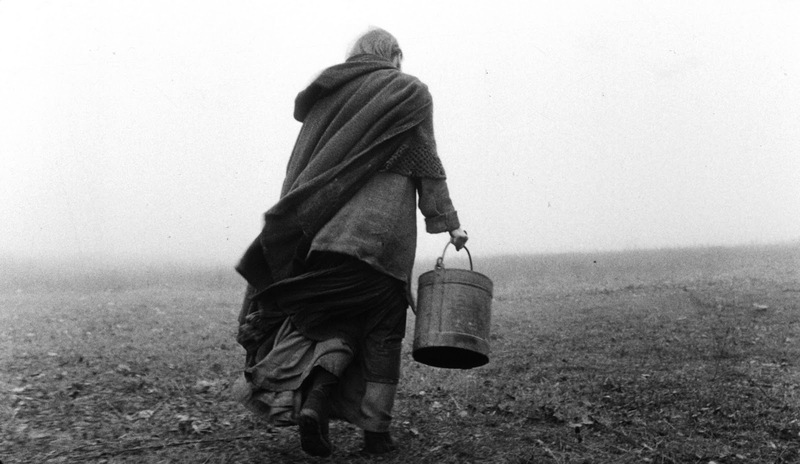 There are no words to describe Ingmar Bergman. Author of numberless masterpieces like Cries and whispers, Persona, The Seventh seal and Scenes of a marriage, the Swedish collects challenging films. His filmography is consistent and has as main themes the human anguish, fear, delirium of the mind and the weight of existence. Multiple times, approaches horror movies – being influenced by German expressionism and by Carl T. Dreyer’s Gothic cinema. 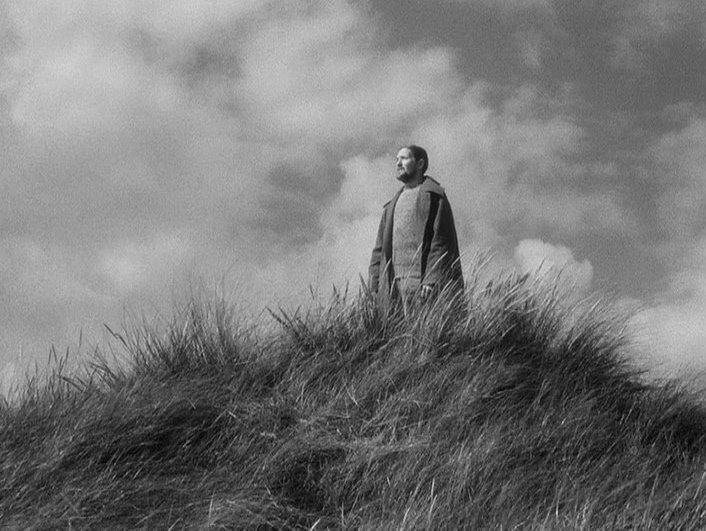 In Hour of the Wolf, a painter and his pregnant wife are recluse in a small desert Scandinavian island. There, the artist shares sketches of his terrifying visions with his wife. During the nights, both of them stay awake thinking about the tale regarding the “wolf hour”, in which spirits get more susceptible to walk among the living. From a certain moment, they start to be tormented by vampire-like and folkloric figures. 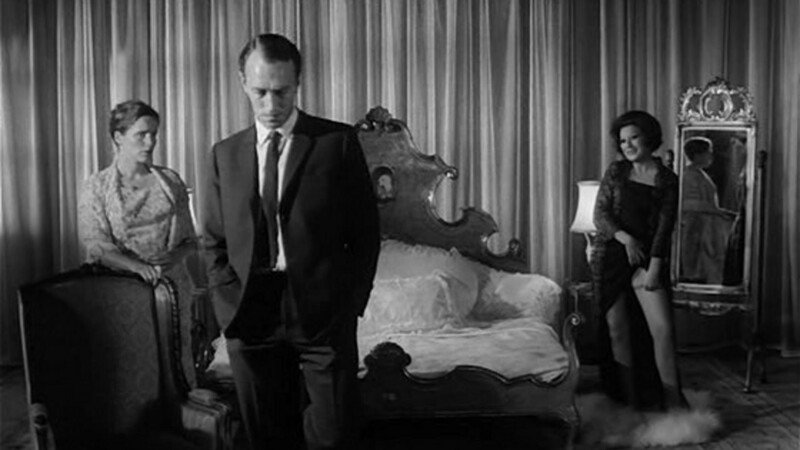 With strong Gothic tendencies, Bergman’s movie is about strong themes like human fear and paternity. The actors, coming from theater, bring powerful dramatization to the characters – offering near-visceral performances. Besides, the poetic force of the movie is an element that causes estrangement to the viewer that is not used to such directing style. Also, the spectator finds the confusions between reality and onirism weird: the monstrous characters are among both of these perceptions. Clearly, in Hour of the wolf, the viewer is found helpless and shocked with such aesthetic beauty and philosophic strength the movie provides. The extraordinary Italian director Luchino Visconti adapts a romance from the successful German author Thomas Mann: Death in Venice. Known for his political movies during the Italian Neorealism period, Visconti, moves away from his social themes in this movie. Nominated to the Oscar’s for the best costume design, the movie also made a quite good impression on Cannes Festival, where it was nominated for the biggest award: the Golden Palm. 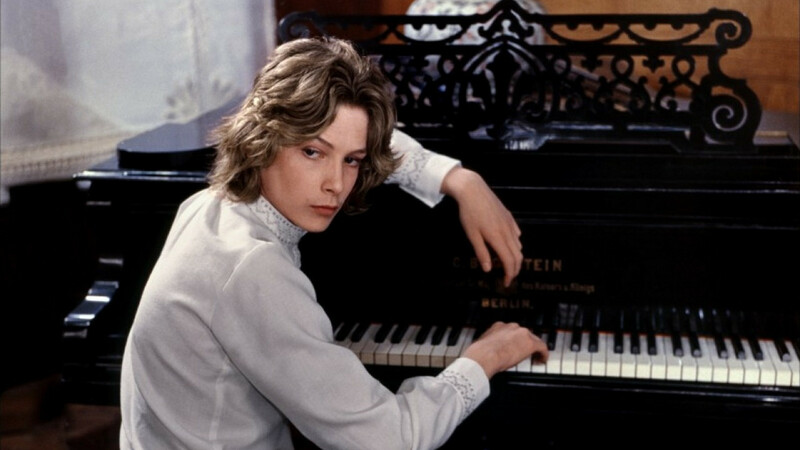 Death in Venice is about a classical composer that, due to health problems, travels to a luxurious hotel in Venice. There, he ends up getting obsessed with a young boy, that spends his vacation on the same hotel. An outbreak of cholera starts in Venice, but the guests of the establishment don’t know about it. The problem is that the protagonist is one of the people affected by the disease. His obsession for the boy seems to be the only string attaching him to life. His movie is a study of the ideal beauty. The spectator gets in touch with a loose narrative, with few dramatization, about the thoughts of a man obsessed by the beauty – in a non-sexual way- of a boy. On Death in Venice, there are extremely long takes, with many camera movements that are used to replace cuts and other editing tricks, almost being used to describe places. Viewers accustomed to the usage of many takes to describe the scenes can easily get distracted and even exhausted by such descriptive shots. Ordet was his first movie to become famous among critics and also the first that resulted in financial gain. inspired by a piece written by a danish priest called Kaj Munk, the movie has a strong religious perspective, that manifests itself in its thematic and also in its dialogues. Ordet won awards in multiple festivals around the world, being the winner of the most important one of the Venice Festival. The movie is about two ultra religious families that want to marry two of their children. In one of them, there’s a young men that believes he is Jesus reincarnation. The men was considered to be crazy, but, with his disappearance, questions about faith and religion are made. This religious conflicts create disharmony between both families and the village residents. Maybe what requires most of the viewer are the dialogues and the thematic. Its religious bias can be seen all over the piece, interfering even in the theatral and the way they speak and interact. In this movie, the democratic and long takes also reign: they show a hole scene in just one static take. Its rhythm is calm and there are none highs and lows in dramatic matters – the narrative keeps itself monotonous until the middle of the movie, without much dramatization. Its photography is also a strong point, that reminds the expressionists of the 20’s. It’s certainly a difficult movie to absorb, that, with no focus or will, can tire the spectator in a shot amount of time. Known as an extreme symbol of the french new wave, Alain Resnais is definitely a cineast that challenges the viewer. In his former movie, Hiroshima, mon amour, the director presents similar characteristics to the ones in Last year in Marienbad. Resnais makes the viewer feel uneasy, using a cinematographic language that leaves them to question time and space into the narrative, leading to a detachment regarding the plot. Last year at Marienbad starts with a voice over in a luxurious hotel. There, an unidentified man approaches a woman, swearing to her that they know each other. The movie unrolls with sequences of flashbacks and flashforwards that suggests either a previous encounter among the couple or a hallucination of the male character. Conversations, social events and rendezvous between them are repeated multiple times – always with clear differences in matters of costume and cenic objects. Its narrative is clearly an ode to modernism: characters with little development and multiple timelines, and the plot offering little engagement, since it’s all about repetition of the same events. However, the thematic – the analysis of the individual and collective memory – is powerful. The most disturbing and unorthodox part of the movie is the editing: using abrupt cuts, that do not respect any illusion of reality that classic movies – the ones that most people are used to – have as their trademark, resulted in Resnais leading audiences to exhaustion. In Last year at Marienbad, there’s little to none immersion of the viewer into the piece, considering that such deconstruction usually stray the viewer from a state of complete concentration. 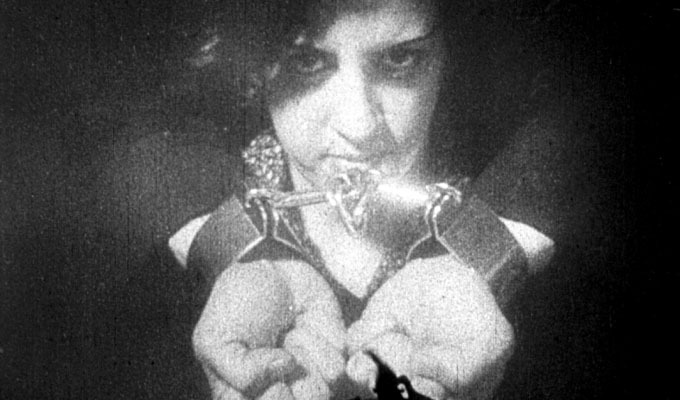 This masterpiece of Brazilian cinema is the only silent movie on this list. It was also the only movie on the director’s filmography: after Limite, Mário Peixoto, having only 23 years old, left Brazilian’s movie business once and for all, and started dedicating his professional life to his writer career. However, Mário left some cinematographic pieces unfinished. Limite is about three people that meet each other in a boat in the middle of a river. Each of them have a recent past that torments their daily lives: the man lost his lover; one of the women escaped jail; and the other is in a state of pure despair. Mário used flashbacks as a way to make the protagonists remember their moments of anguish, using aesthetically astonishing, dreamlike sequences. Its narrative contains countless temporal lines that disorients the viewer; besides, the flashbacks are not highlighted, making it difficult to the viewer to know whether it is indeed a flashback or not. Its slow pace may sound boring, but its experimental poetic, that treats about human anguishes is a strong part of the movie. Also, the director shows similar traits to the ones observed on Ingmar Bergman’s movies – the use of close shots as a form of cinematographic language and the value given to human gesture. The use of metaphors are constant in Limite: the boat may mean the stagnation of both existence and destiny of the main characters. Its strong thematic might cause sartrean nausea or even tiredness to the viewer.